يقع Kickback Cottages في بحيرة انترانس, منطقة جيبسلاند, هو خيار شائع بين المسافرين. يحظى هذا الفندق ذو 3 نجمات بمكان ممتاز يسمح بالوصول إلى المعالم السياحية الأكبر في المدينة، فهو يبعد مسافة 0.5 kmKm عن صخب المدينة. يوفر الفندق بفضل موقعة الجيد وصولاً سهلاً إلى أهم معالم المدينة.
. يقدم Kickback Cottages خدمات لا غبار عليها وكل أشكال اللياقة وحسن الضيافة اللازمة لإسعاد ضيوفه. يقدم الفندق فرصة للاستمتاع بشريحة واسعة من الخدمات بما فيها: واي فاي مجاني في جميع الغرف, واي فاي في المناطق العامة, صف السيارات, مرافق للشواء, خدمة غسيل الملابس . تعكس غرف الفندق البالغ عددها 7 المنتشرة في طوابق جواً من الدفء والألفة.خدمات عصرية مثل تلفزيون بشاشة مسطحة, اتصال لاسلكي بالإنترنت, غرف لغير المدخنين, مكيف هواء, تدفئة موجودة في بعض الغرف المختارة. يقدم الفندق العديد من الفرص للاستجمام كمثل ملعب للأطفال, حديقة, غرفة ألعاب. إن Kickback Cottages هو مكان مثالي للمسافرين الذين يتطلعون إلى الراحة والاستجمام في منطقة جيبسلاند. Charlie the owner is very accommodating with requests. We have been to Lakes Entrance 5 times for the past 2 years and we have always stayed at Kickback. Good value for money for large groups. You get your own villa depending on how many bedrooms you need. It's clean and very accessible. You have your own kitchen complete with cooking stuff. Bathrooms are equipped with bath soap and shampoo. Free coffee and tea. The only set back is booking directly at the property. The number listed online was not working. The other numbers were very hard to reach. We had a great stay at one of the cottages. 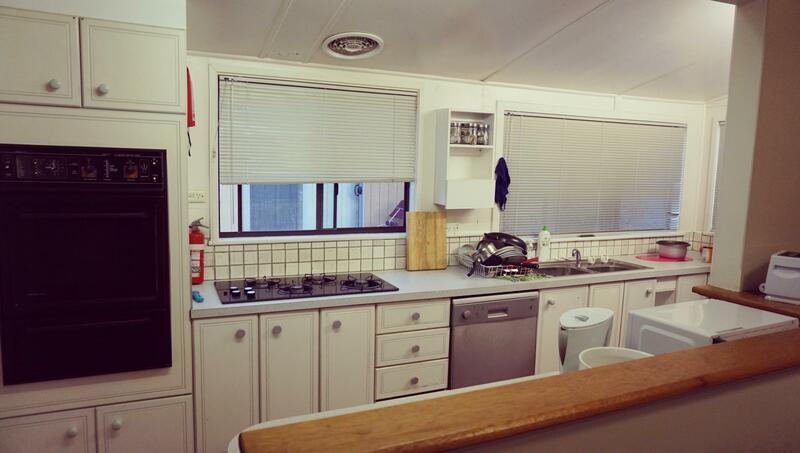 The cottages is spacious and has all the cooking equipment if you need to make your own breakfast. There is a two way air-con in the living room which was a plus in cold weather. Very short walk to the beach, super markets, and the main town. 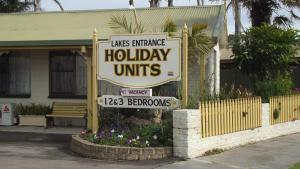 Really enjoyed our stay here, though it was just one night passing through Lakes Entrance. We had booked a small 2BR cabin but were upgraded on arrival to a large 2BR. Could not have asked for more - great value for the price paid. 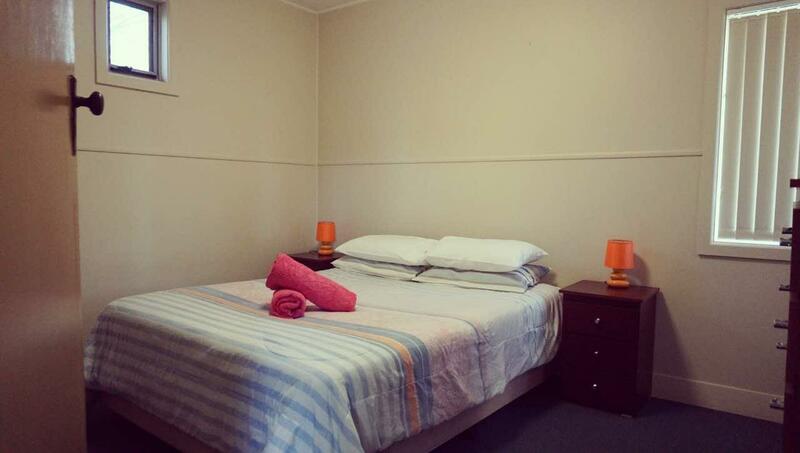 Friendly and informative welcome, and clean, comfortable and spacious rooms. My only criticism (and fortunately it didn't prove to be problematic) was that the old louvre windows and one blind in my bedroom didn't close properly, which could have been an issue if there was noise or bad weather. Luckily there was neither! The location was great, close to the main street with shops, cafes, restaurants and waterfront. Had breakfast the next day at a great little cafe called the Funkey Monkey. Would definitely stay here again. Apart from a truck reversing with beeping sensors at 9am, waking us up and then loud engine running outside our room for 30 mins, the stay was very good. The owner did profusely apologise, saying the truck turned up an hour early. I would have made the truck wait as it definitely affected our holiday morning. Wonderful. Basic cabins but overall quality raised exponentially by really great owners, a lot of effort put into landscaping and outdoors areas, a great vibe in the common areas. This place is da bomb and you should stay here! We arrived a bit late but no problem with the checkin. Staff is very nice and helpful. It takes sometime to get the hot water, maybe our room is far away to their boiler. Lovely cattages,clean and tidy. Great services. 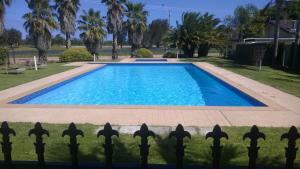 Walk in Short distance to the beach,restuarents and shopping center. The cottage was very spacious and the rate was reasonable. Even we arrived very late in the night, staff already prepared room for us and guided us. It was very helpful for us especially we went there with two very young children. However, it was a bit cold because it was build in slates and no heating device at the time we visited there(Feb). The pros of this hotel is the staff. Alison in Kickback is very helpful and still giving me some help for my belongings left there. 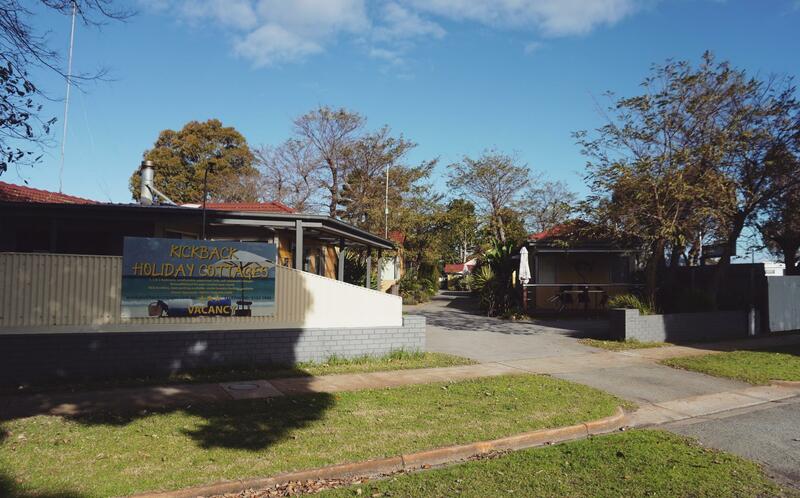 Kick back cottages are somewhere that you can really relax just a 10minute walk to 90 mile beach which is a great sandy beach for family fun, Cottage were quite small but well kept, BBQ area was quite nice. we were pleasently surprised to go to our cottage and find it was like a one bedroomed apartment with lounge area, full equipped kitchen and bathroom. very quiet location, did not hear a sound all night. well equipped games rooms all undercover which included a bbq, large table and free wifi and tv, great area for children. we were greeted by a friendly gentleman who gave us the run down on the choices of restaurants. Very near to 90 Mile Beach. You can see Dolphins also. We rented a 2 bed-room unit, and spent a night at Kickback Cottages. Properties' exterior was lovely. Service was good too. The drawbacks were - the furniture were a little old and not cleaned. Chocolate stain was found on one of the beds. And, some of us got skin irritation after sitting on the sofa. Very nice place to stay. clean and close to town center. We enjoyed our stay, apart from a few very noisey birds around 5 in the morning, but thats nature for you, we liked the fact that our bungalow was self contained and the super market was about 5 mins walk,And the pubs and clubs a few minuts further up the road, and we werent far from the beach, you could hear the waves at night it was very peacefull, we liked the little table and chairs on the verandah out front of our bungalow, it was nice just sitting there having a drink in the evening, and a cup of tea in the sunshine in the morning.We didnt get a chance to use the bbq ect maybe next time we stay. The mr had problems trying to light the oven as he hasnt used gas one before, but the friendly manager was only to happy to help.We enjoyed our stay very much. kleines, aber zweckmässig eingerichtetes cottage. auch in der nebensaison sauber gepflegt und sehr freundlich.